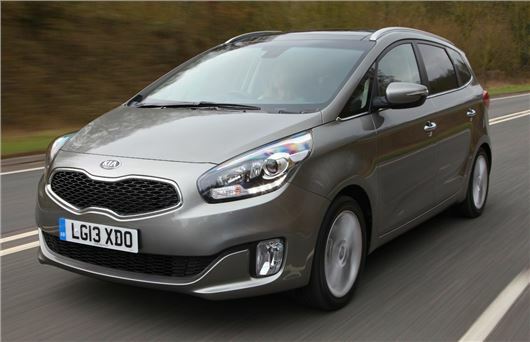 The new Kia Carens has been awarded the maximum protection rating by Europe’s road safety organisation, Euro NCAP. The Carens was awarded a five-star safety rating, with high scores for adult occupant protection (94 per cent), child occupant protection (76 per cent) and safety assist equipment (81 per cent). NCAP testers also awarded the MPV maximum points for side impact protection against a barrier, child protection for 18-month old infants and front seat whiplash protection. The Carens is one of only two compact MPV models to earn five-stars in the 2013 Euro NCAP tests - the other being the Citroen C4 Picasso - and the Kia’s success has been largely attributed to its impressive array of passive safety systems, which include six airbags, seatbelt reminders for all occupants, electronic stability control and emergency stop signalling, which flashes the brake lights to alert other motorists when the driver is making an emergency stop. The new Kia Carens joins six other Kia models – Cee’d, Rio, Venga, Soul, Sportage and Sorento – in scoring a five-star rating in Euro NCAP crash test results.